FEATURE —Flexibility. Spontaneity. Taking life by the wheel and steering your own direction. These are just a few reasons to venture out on the open road, and no one knew this better than Bertha Benz, the original roadtripper. But for this particular story, that’s putting the cart before the horse – which would’ve been one of the main ways of getting around before Bertha’s husband, Karl, was granted a patent for the first automobile in January 1886. The vehicle looked more like a giant tricycle, with three wheels and a rear-mounted 954 cubic centimeter single-cylinder four-stroke engine. It was a true technological marvel, but to the surprise of everyone in the Benz family, nobody was interested in buying one. With the possibility looming that mankind was about to dismiss her husband’s invention and threaten the livelihood of her family of five kids, Bertha Benz knew she could not let this stand. She mustered all of her resolve and embarked on the first long-distance automobile ride in history. Benz was bound and determined to prove the value of their new patent-motorwagon and its reliability for long distance travel. With the aid of her sons Eugen and Richard – and unbeknownst to her husband – early one August morning in 1888, she quietly rolled the new vehicle out of the family workshop and headed out to her birthplace of Pforzheim, Germany. She knew if people could just see what the automobile could do, it would change the world. They traveled over 60 kilometers – roughly 37 miles – on nearly impassable roads, facing issues like a lack of fuel, clogged valves and even a faulty ignition wire, which she had to wrap with a garter belt stripped from her own leg. But nothing would deter the pioneering woman. And though some people along the route thought the newfangled “smoking monster” might be a signal of end times, many others asked for a test ride. They were fascinated. Although it would be many more years would pass before the automobile was generally accepted around the world, her bravery, determination and unshakable belief in her family ushered in one of the most important cultural advances in history. Almost a century before the Equal Rights movement, Bertha Benz proved unequivocally to the world that indeed, she could do it. She was not only able to demonstrate that their vehicle worked – and that a woman could drive it – but that sometimes it takes a whole family to bring innovation to fruition. 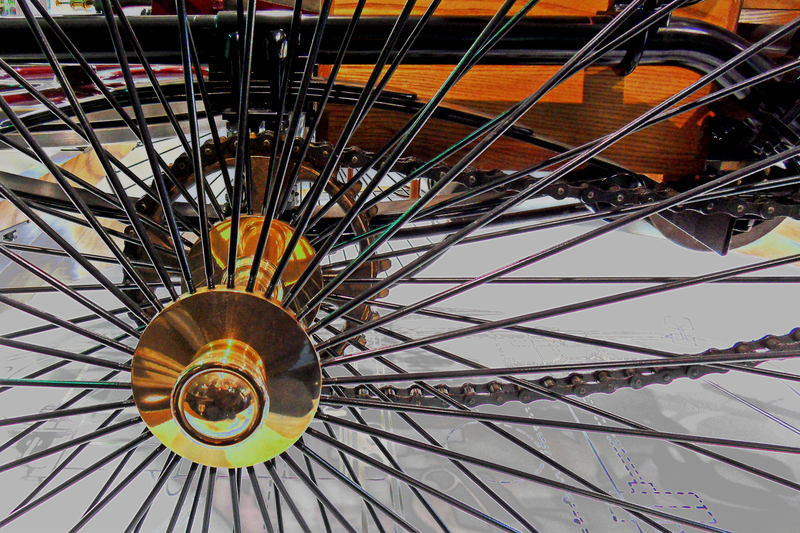 This legacy continues to endure 130 years later at Mercedes-Benz of St. George. 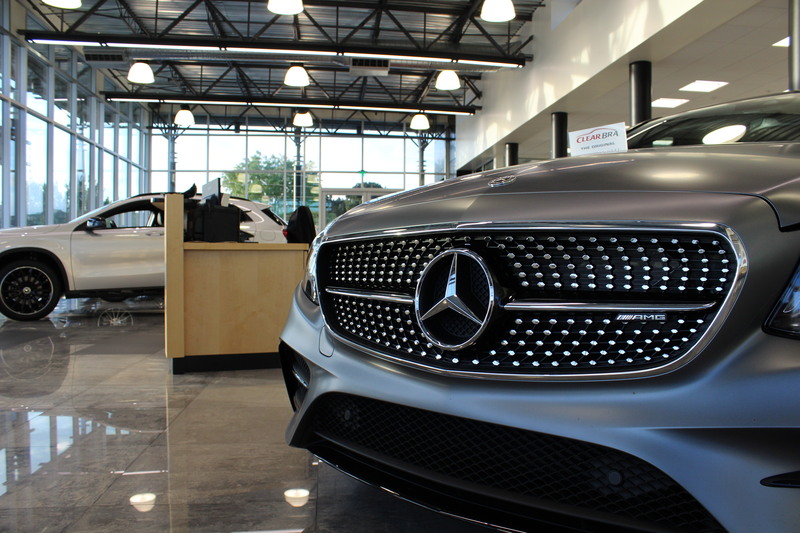 Mercedes-Benz of St. George showroom located on Black Hills Drive, St. George, Oct. 23, 2018 | Photo by Andrew Pinckney, St. George News. At the St. George Mercedes-Benz dealership, they understand that jumping into your vehicle at the last minute and hitting the open road can be the moment that changes a person’s entire life. And because they consider their customers as their family, when it comes to the dealership’s general manager Dan Witt and his staff, nothing is more important than your safety. “Any vehicle we have on the lot, whether it is new or used, is ready to sell to a family member,” Witt said, adding that they will never just put some shiny stuff on the engine and park it out front with a “For Sale” sign. “That’s not what we would do to our mother or our brother or sister,” he said. Witt and his employees spend just as much time at the dealership as they spend in their own homes, and when anybody walks through their doors, they are treated just like a special family guest. Each vehicle they sell has been inspected from top to bottom, because as Witt says, you can’t treat a customer like family if the car the dealership is selling is not ready to go. Seriously? A massive advertisement pawned off as a legitimate news article? Come on …..